That’s right! 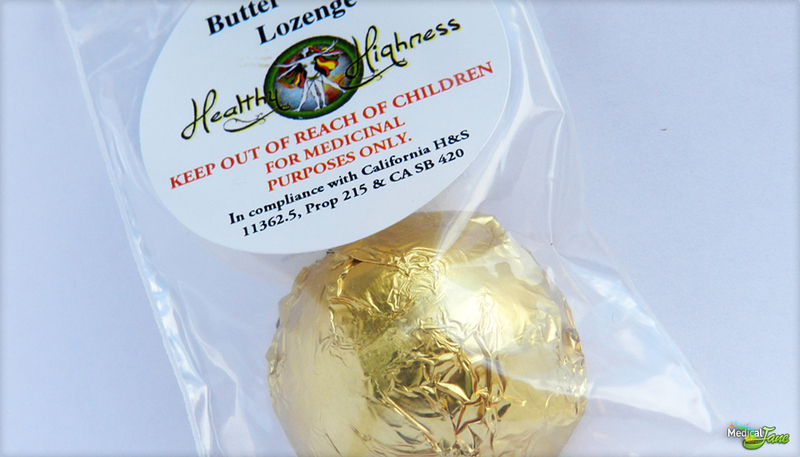 Each Butter Caramel Lozenge consists of Cannabutter containing THC and CBD extracted from approximately 1 gram of primarily Indica medical marijuana. 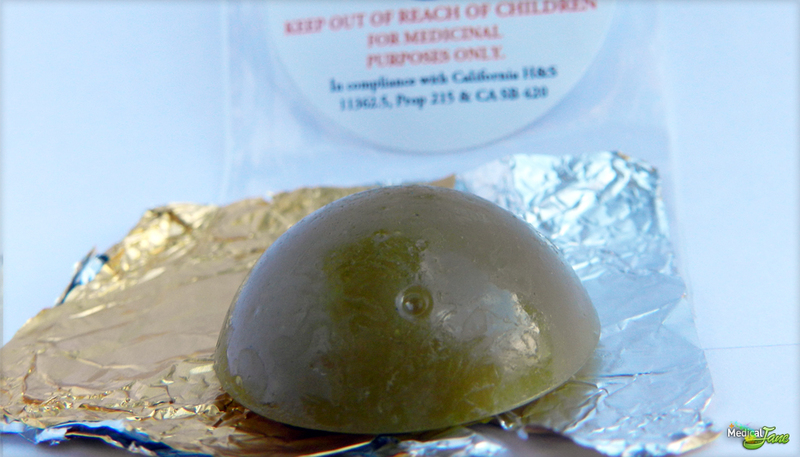 The fact that Healthy Highness chose Indica (body) rather than Sativa (head) cannabutter, makes this a popular choice among patients suffering from chronic aches and pains, anxiety disorders, as well as those who just love the taste of butter caramel. Other base ingredients include White Sugar, Brown Sugar, Corn Syrup, Cream, Vanilla, Salt, and Rum Extract. There is roughly 42.9 calories in one of these lozenges and as much as 2.4 grams of fat. Each Lozenge is stamped on the back with a best-if-used-by date just like most products you find in grocery stores. 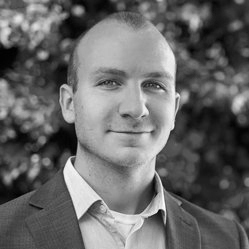 This definitely should be a standard practice for all medible companies. Patients should have access to that knowledge, and be sure that the medicine they are about to ingest is freshly made. Don’t like Butter Caramel? Me neither. 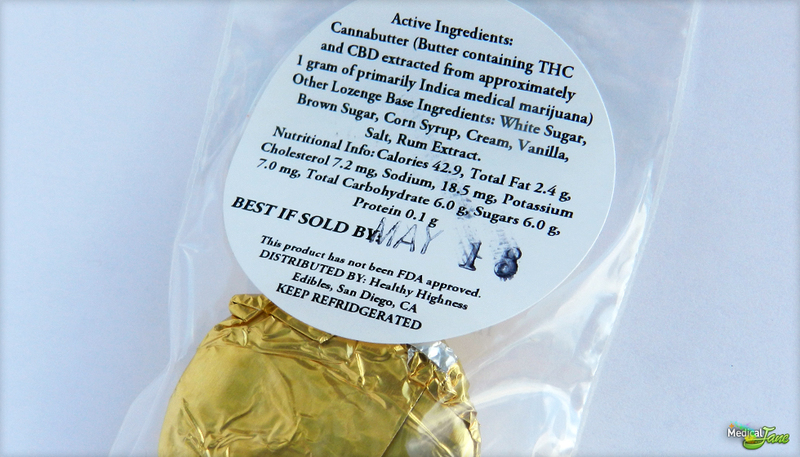 The good news is that Healthy Highness, the medible company responsible for this edible, has a large variety of products to offer patients. 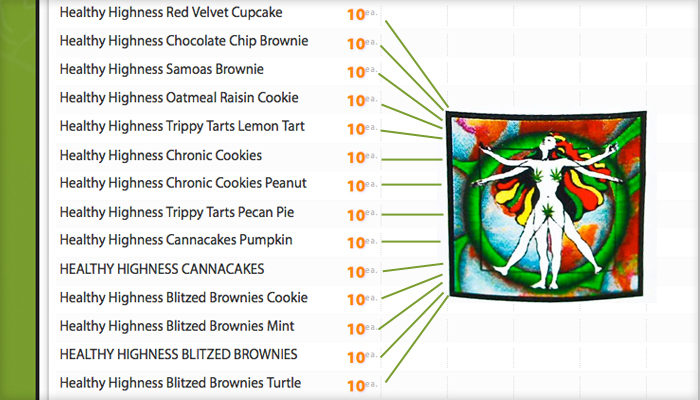 Here is a screenshot from Weedmaps, showcasing what my dispensary has to offer patients, in terms of edibles from Healthy Highness. With so many to choose from, I’m sure you can find at least one medible that fits your taste buds. We will be reviewing all of these in the upcoming weeks, so stay tuned and #StayMedicated.